In this autumn, the investors from China will build a plant near Pavlodar to produce unrefined oil. The production equipment with the processing capacity of about 300 tons of raw materials per day will be located in a small settlement of the Pavlodar region. Annually, the Chinese company plans to produce about 30 thousand tons of sunflower oil. The product and oil cake will be supplied to China. According to the technology, the unrefined product delivered to the country will be processed into a refined product. If it is possible to get full capacity the volume of exports from Kazakhstan to China could double. According to official data, the volume of sunflower oil supplied to the People’s Republic of China last year was about 30 thousand tons. The building of the enterprise near Pavlodar is caused by significant factors. There is practically no oil processing in this region, therefore, there are no competitors on raw materials, but, for example, we can’t say this about the Kustanai region. In addition, it is possible to purchase the missing volumes of raw materials in neighboring regions for maximizing the capacity utilization. According to the head of the investor company, the investment will be up to one and a half billion dollars. It should be noted that this amount is the cost just of the first stage of a large-scale PRC project, designed for 5 years. The head of the entrepreneurship sector said that first it is supposed to establish production of vegetable oil and then – of other crops. The total amount of investments is not disclosed. 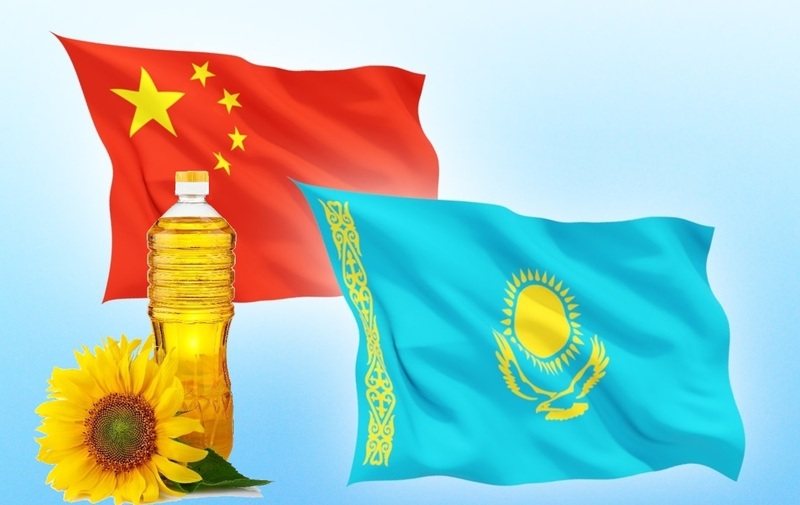 Raw materials are planned to be purchased in different regions of Kazakhstan. According to the press service of the region, to support the Chinese project the electricity is brought through government funding to the plant. Completion of equipment installation is planned by the end of September, and the plant launching planned for October-November. Then the staff will significantly expand mainly with the villagers, which is important for a small Kazakh village with a population of almost 2 thousand people. The Pavlodar region has a great agricultural potential for growing sunflower, the area under this crop constantly increases. Three years ago, sunflower was grown on 150 thousand hectares, and harvesting was slightly more than 76 thousand tons. This figure was twice the level of 2014. In 2016, almost 200 thousand hectares of oilseeds were planted, while about 130 thousand tons were sown. In this season, oil croppers occupy more than 210 thousand hectares, which is almost 5 thousand hectares more, compared with the last year. With all this, China becomes one of the main competitors of Ukraine on the world market. ANd take into account that the sunflower oil prices in Ukraine and in the international market varies the price policy will change.